We have been able to directly impact a number of different families within Indian River County this past year. The first story is a very special story. 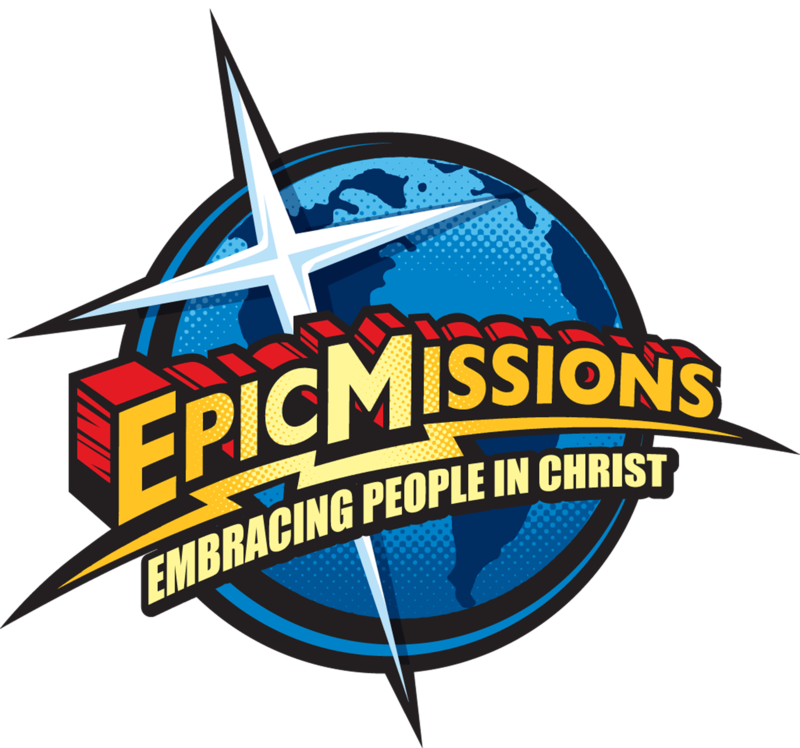 Jane who is an employee at a Vero Beach ministry, has become a very special person to Epic Missions. We met Jane after Jackie Munsie had called to talk to the Ministry about being able to bring teams of volunteers to help them with their ministry. Jane wanted to meet me right away and showed up at the door of Epic Missions following my phone call to her. I was telling her what we do at Epic Missions and how some of the groups even want to "adopt" a needy family, like a single Mom with kids who needs some help around their home. Jane's eyes immediately filled with tears and she said they can adopt me. That is exactly what our team did! I sent my team a list of items that Jane's family needed and work that needed to be done around the home that she was living in. Our team was a team coming from Alabama. They were so excited to meet Jane and her 4 beautiful daughters. Before it was time for the team to come to Epic Missions things had worsened for Jane and her girls and they soon were going to be homeless. I quickly began calling contacts I had in Indian River County and I was able to connect Jane with someone that helped her find a new home. THis didn't happen as quickly as it all sounds. There was a lot of praying with Jane and encouraging her along the way. Our team arrived in June and began reaching our to Jane and the girls. They helped her pack her home, clean and organize to get ready for her move. They put on a 'Dinner and Movie" night for the girls and allowed Jane some much needed Mom time. We helped Jane to get adopted from another group that took food donations and gift card donations for her family for a month. We found some clothing for her girls. When the big time are the move finally came around another team that had arrived here at Epic Missions went in and were able to paint bedrooms for Jane and help organize her garage and get things in shape to call her new place "home." I was able to talk to a cleaning company that went in and cleaned the new home free of charge so that Jane and her girls could all be settled! We continue to stay in touch with Jane and her girls and have built a long lasting friendship!! Another Family we were able to directly help was JaneDoe from Sebastian. JaneDoe was a single Mom with three children and had gone through a terrible divorce and the home she was living in was a shell. No heat/AC and she had very little home supplies. We had a team coming that wanted to "adopt" a needy family and so the team adopted JaneDoe's family. When they showed up at JaneDoe's door she was overwhelmed with emotion. The team brought in kitchen supplies, food, underwear and socks for her children, toiletries and much more. They then asked JaneDoe what was her biggest need. She expressed she wanted to make this house into a home and make it comfortable for her children. The team went into the bedrooms of the kids and asked what color they would like their rooms painted and what were some of their favorite things. The 16 year old son said he wanted his Mom to have a pretty bedroom. So off the team went to Home Depot to buy paint and supplies and then to local thrift stores to buy "house hold" items like comforters, wall hangings, etc. The next day the team went back and JaneDoe's kids were waiting with their sleeves rolled up wanting to be a part of things. So together they all worked, painting and decorating and turning the house into a cozy home. It was beautiful to watch. JaneDoe's son looked at her and said "see Mom. it pays to be a good person, there are truly people who care out there." We still stay in touch with JaneDoe and another team went to her home a couple of months after the home renovation to bring food during a time when money was extra tight and there was none left for groceries that week. Since this time JaneDoe has seen "hope" and a new lease on life has taken hold. She has started her own cleaning company and is now engaged to be married. She is beginning a whole new future. All it took was planting a few seeds of hope into her heart.